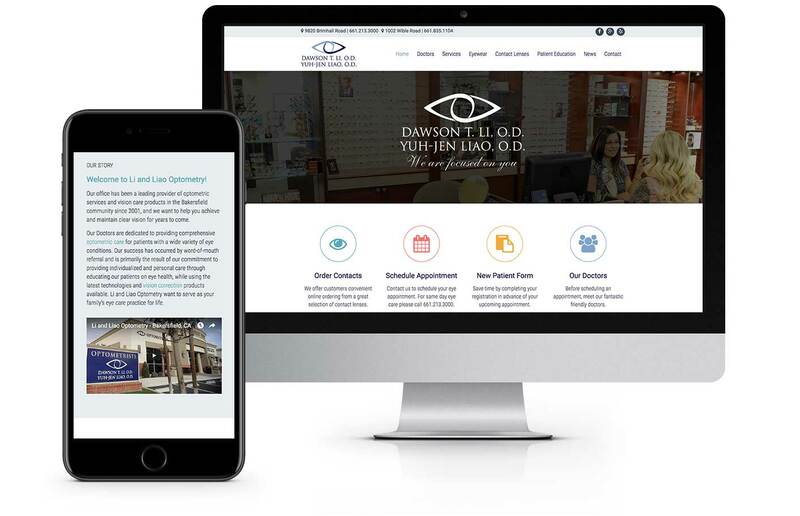 Li and Liao Optometry, otherwise known as Bakersfield Eye Doc, noticed our work from across the country and reached out about redesigning their website. While they had great content including extensive video work, their website needed to jump several years into the future. That’s exactly what Virtual Monk gave them. With many features that allow for effectively displaying large amounts of content, and a clean, contemporary style, bakersfieldeyedoc.com stands out among its competition.